All versions of FACEASiT have help buttons. Touch the button, then select the area about which you need more information and a label will appear with brief explanations. For detailed help about each section, consult the menu in the column on the right of this webpage. On this page, we provide you with information for getting started with FACEASiT. Use the search engine at the top of the page to find specific terms. FACEASiT means: "Do it easily on the face". If a button appears "sunken", it indicates the active section. To get back to the start of the application, touch this button. If you're in the middle of a treatment and need to consult another section, the result you're working on remains active. Just touch this button again to restart the process. Go to the study section with the Dien Chan multireflexology diagrams. +info on the Study page. Go to the study section of the Dien Chan set points and their relations with the diagrams. +info on the Study page. Go to Hints and Pointers on the use of the tools for each part of the body. +info on the Study page. The blue speech bubble offers specific pointers for each treatment. During the evaluation, a grey curtain is drawn over the result map, offering a text about the chosen body part and symptom. In the study sections, it shows and hides the table with information about the chosen diagram, point or tool. 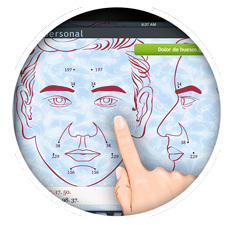 FACEASiT'clinic allows you to save the treatments you design and create a record for each person you treat. You can also modify and create formulas of BQCpoints and obtain the resulting map showing important points and contraindications according to the options chosen. +info on the Patient follow-up page. This button shows your list of patients and gives you direct access to the personal file of each one. From the file, you can consult the history of their treatments or interact with one of them. Configuration and access to complementary information. The meaning of each of the buttons in the lower action bar. Touch it to see summarised labels of the function of each. Go to your FACEASiT preferences. Modify gender, language, etc. +info on Preferences. 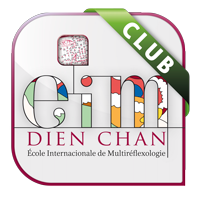 Meet the teaching team and find out where to study Dien Chan with trainers certified by the International School of Multireflexology - Dien Chan. +info on the official website. Find a health professional who practises Dien Chan in addition to other specialities. FACEASiT offers a professional directory with geolocated information and tells you where to find the closest therapist. +info about the Professional directory. Definition of the concepts used in Dien Chan. 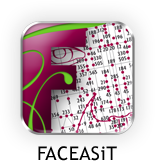 This elongated button allows you to alternate views of results of the map of reflex areas and the map of set points (BQCpoints). Only available as of FACEASiT’pro. All versions of FACEASiT show the result of your consultation in reflex areas. 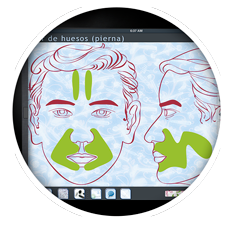 These are areas highlighted in green on the face, in frontal view and profile. These reflex areas represent the combination of various Dien Chan diagrams and the essential points for each treatment. 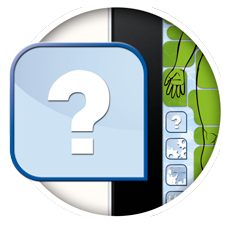 This allows you to apply multireflexology treatment to each area without having to identify set points on the map. We advise beginners and students of level 1 of Dien Chan to concentrate first on stimulating the reflex areas using the proposed tools. This quickly relieves pain and restores balance in the affected part. The reflex areas are a summary of the map of BQCpoints and the diagrams of projections on the face. The reflex map is larger than the screen; you can move it to the right and left with a swiping motion. The map represents a patient; it is not a mirror. The representation of numbered set points on the face is available in the FACEASiT’pro and FACEASiT’clinic versions. The map of points presents the face in frontal view and profile with the BQCpoints involved in the treatment. “BQC” points are the set points discovered by Professor Dr Bùi Quôc Châu. For optimum viewing, swipe the map sideways to see the two extremes. • To view the map's support lines, consult Preferences. When you touch one of the points on the map, a box containing definitions is superposed over the map. Each BQCpoint proposes a fact file with 7 sections. More information about the BQCpoints on the Study page: diagrams and points. The points marked with a - in the formula are points with yin effects (e.g. 300-) and appear only on the left of the drawing of the face, or on the right as you look at the screen. The points marked with a + in the formula are points with yang effects (e.g. 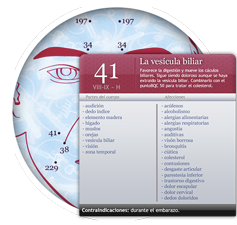 34+) and appear only on the right of the drawing of the face, or on the left as you look at the screen.